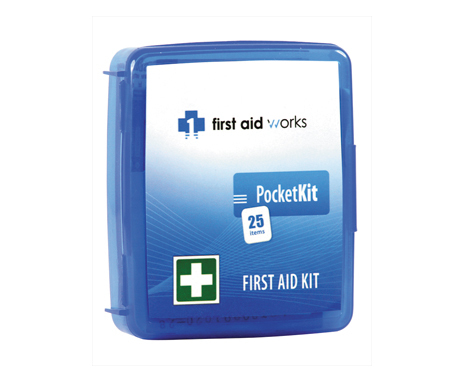 Workplace Guide: Standard Workplace with up to 100 staff, Construction Sites with up to 25 staff. 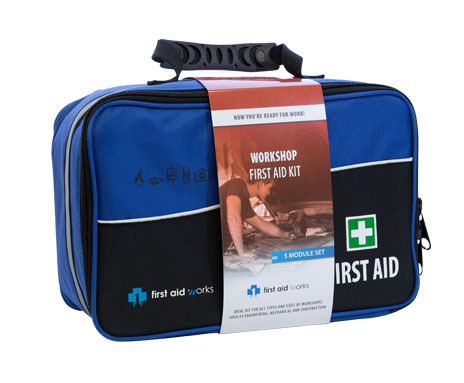 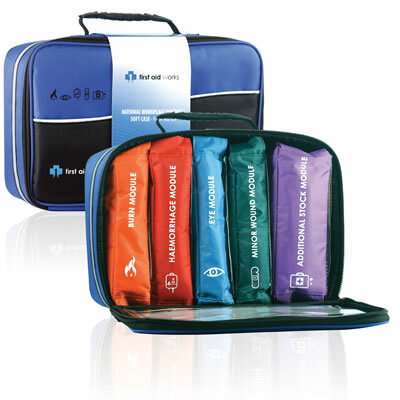 The Workshop First Aid Kit is an innovative first aid kit that contains the easy to use 5 module treatment set. 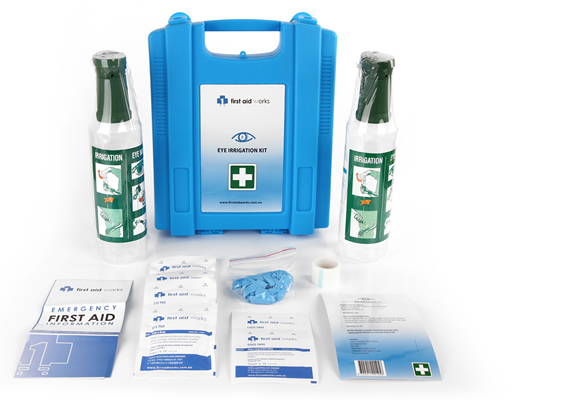 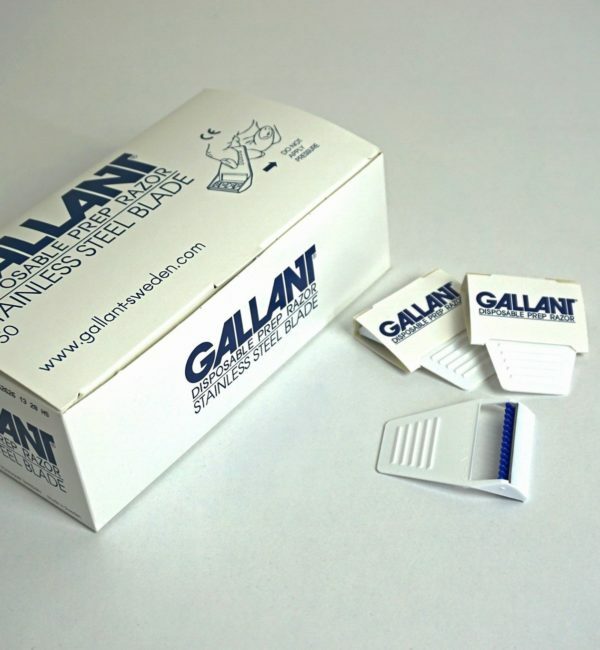 The complete set comprises of: Burn Module, Haemorrhage Module, Eye Module, Minor Wound Module & an Additional Stock Module. 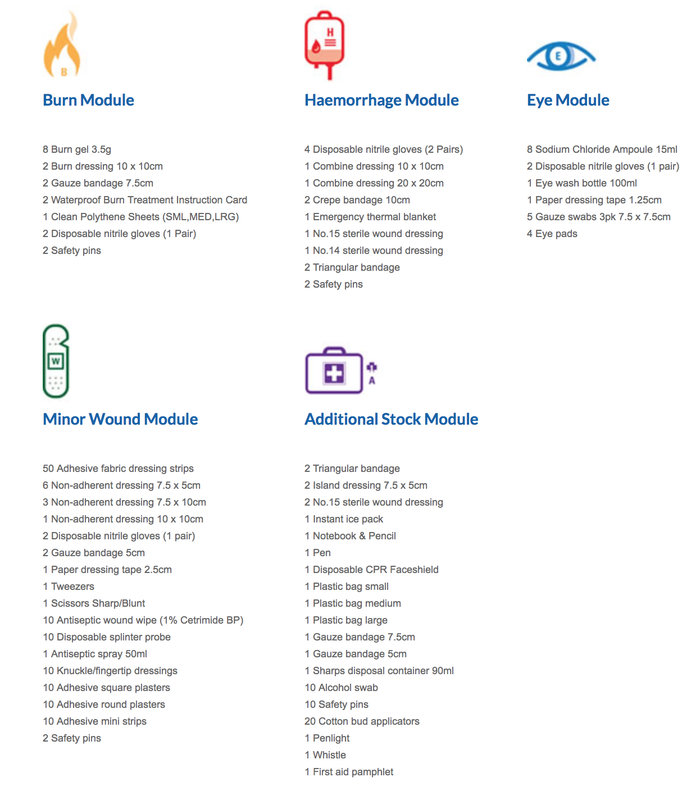 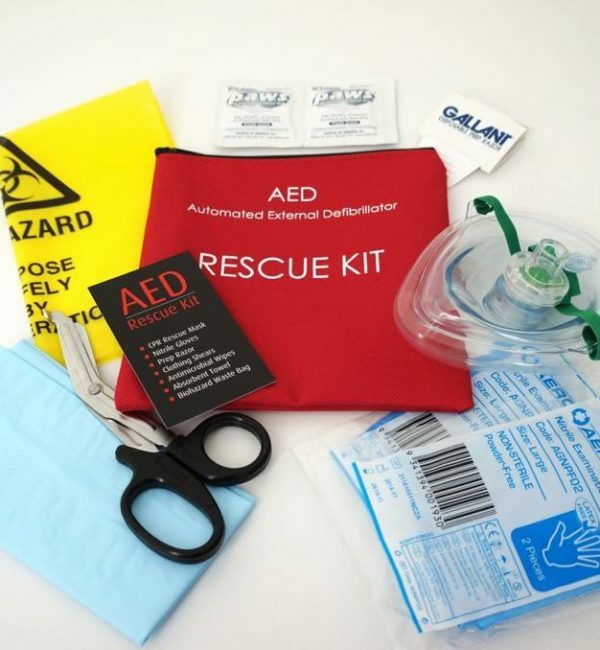 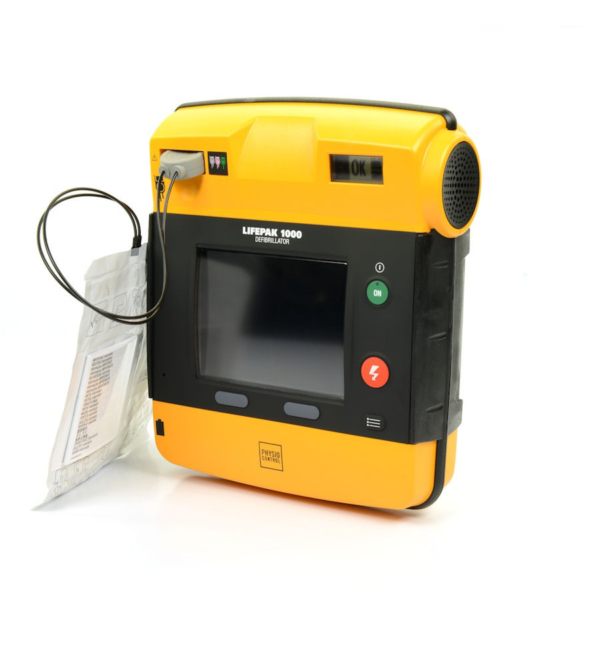 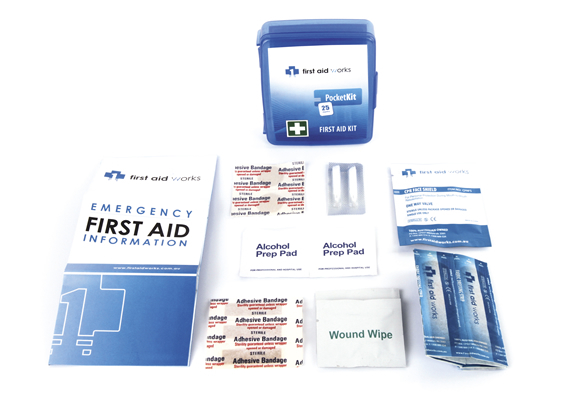 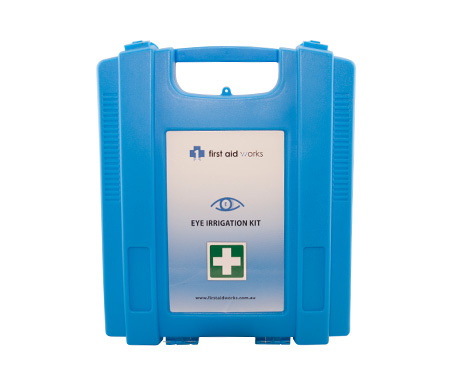 Each module contains clear and easy to understand first aid instructions and a comprehensive maintenance check list ensuring the workplace kit remains serviceable.In emergency situations the modular system allows the first aider to react quickly and effectively in providing appropriate emergency treatment. 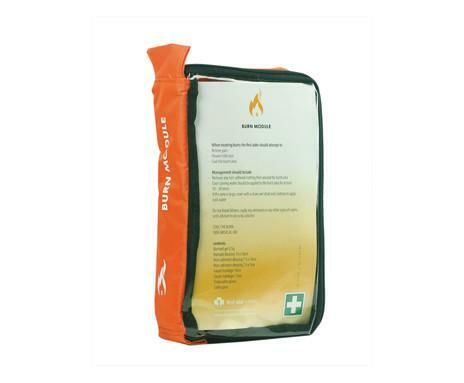 Medium – Large Workplaces, Sporting Clubs, Factories, Restaurants, 4WD’S & Remote Areas, Farms, Work Vehicles & Trucks. 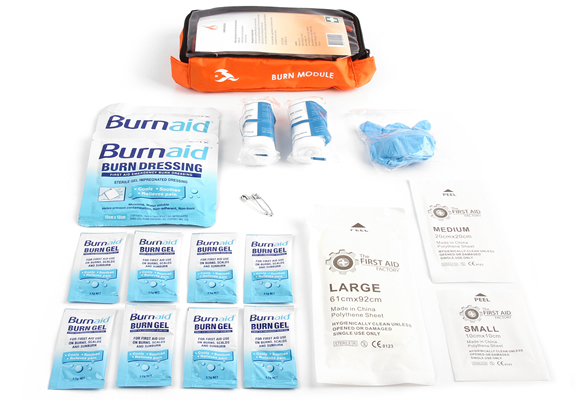 Including the requirements of outdoor work, remote work & burn injuries.